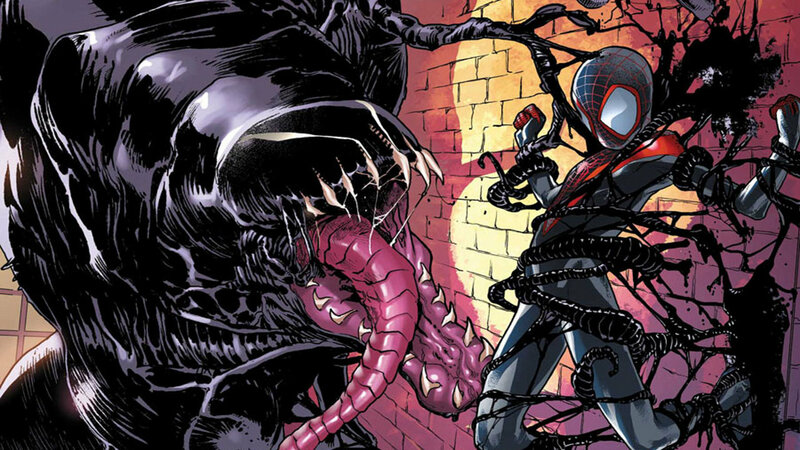 The thrilling conclusion to “Venom War” brings about a personal tragedy for Miles Morales. These things and Spider-Man go hand-in-hand so it was only a matter of time before our young hero suffered this particular wound. While Peter Parker suffered his first loss before he became Spider-Man, Miles has been Spider-Man for a little bit before he suffered his. Plus, he is in middle school which shows how much younger is. Bendis pulls a bait and switch with the finish of the story. It is not only heart wrenching and excellently drawn by Sara Pichelli, but makes the road ahead for Miles even more tumultuous. The cover of the next issue features Miles walking away from a trash can just like Peter did in Amazing Spider-Man #50. Obviously, they are going the route of Miles quitting until something forces him back into action. The seeds are planted in this book for that to occur, but it is the journey along the way that will have to be the hook that draws the reader in. In my opinion, Ultimate Comics Spider-Man is one of most consistently great comic books on the shelf today. There is no doubt that Bendis’ knack for storytelling on an emotional scale coupled with Pichelli and Ponsor’s unique talents will be more than up to the task. ‹ The Body Slam Podcast Ep 6: Wrestling Debuts, Jones vs. Sonnen, and more!